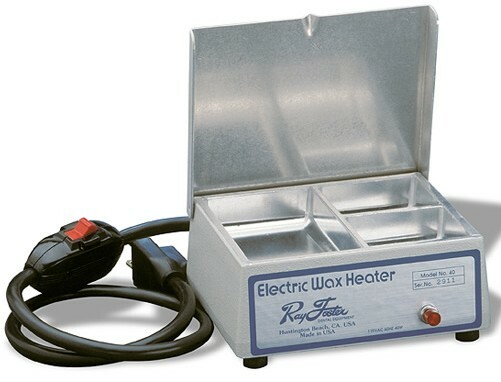 Ray Foster Electric Wax Heaters feature three compartments with two measuring 2-1/8” X 1-3/4” X ” deep, and one 2-1/4” X 3-3/4” X ” deep. They have a hinged lid to keep out contaminants, indicator lights, and an ON/OFF switch. Rugged construction and reliable components promise years of trouble free service. Wax Heaters are available in two models.